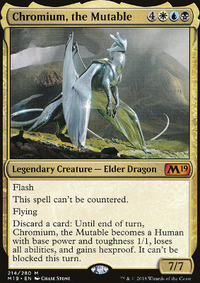 I'd like to suggest Settle the Score and Vraska's Contempt post War of the Spark. 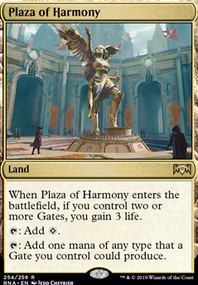 It adds to the number of stuff in your opponent's exile and it'll help you get Kaya's ultimate faster/more. burferking on Would you rather die to Najeela or Ultimates? 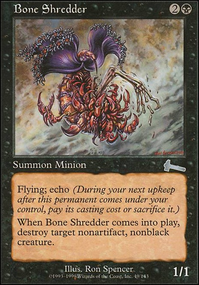 I think that Oath of Gideon and Settle the Score would be good in you deck. I have had something similar tickling in the gray matter as well. I am glad to see someone put it down in print here. Settle the Score was a card that caught my eye when I was kicking around this idea. Hitting her ultimate a little early and doubling as removal is nice. lords2001 on It’s 3 Colors and SUPER Friendly! I think you have made a pretty nice deck. Couple of suggestions. 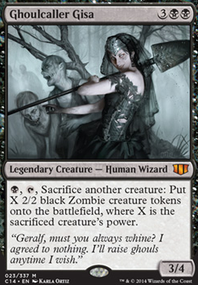 1) Vraska's contempt is almost always better than Settle the Score . It is an instant, hits plainswalkers, gains life. I understand the combo with your plainswalkers, but you need something that can affect the boardstate. 2) If you dont want to do the above, move some counters in so you have some control? 3) Think about something like Nightveil Predator in the sideboard for the simple reason that it comes with hexproof, and can trade with any other creature. 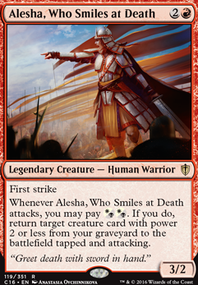 4) Disdainful Stroke is pretty amazing for sideboard tech too in this era of R/U drakes, green stompy goodness etc. How do you feel about Settle the Score for that 7 mana spicy one turn Kaya ult? Also has removal as exile which helps the cause! MillersEdge: I love Settle the Score, although it's clunky, adding two counters to potentially ultimate a non-threatening walker is too good to pass on. 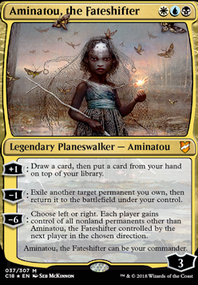 I think Aminatou would be a good walker to test out. Gilded lotus is here as part of the infinite chain veil combo but I might have to rethink my mana rocks and do another massive revamp in the next couple of months. Thanks for your feedback and sorry for the super duper late reply! Hey man, super cool List, probably one of the most finely tuned superfriends builds i've seen so far. Love the staff-combo! Do you have a verdict on Settle the Score yet? It felt too clunky in my list, and that is significantly less cutthroat than yours. Would be interested in hearing your opinion. Any thoughts on Aminatou, the Fateshifter in superfriends? 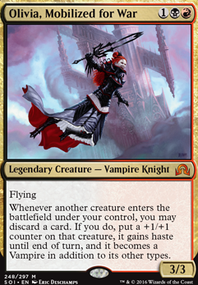 Her flicker is so much better than Venser's. I could see her other two abilities pushing her out of consideration though. Lastly, isn't Gilded Lotus a bit slow in this list? 5 mana seems like a lot to still be ramping.